« It’s the Willamette, damn it! Each runner follows a different plan in preparing for a big race, yet these plans all seem to have a similar structure. There is a slow buildup, a ramp up in intensity, some tune up races, a taper and then the target race itself. This is the type of program I was doing this year in preparation for the Waldo 100K. The plan, however, took an unexpected turn when I broke my foot in July. Initially I felt that the timing couldn’t have been worse–just 6 weeks before my big race. But the more I thought about it (and believe me, I thought about it a lot) the more I realized that I was already 90% of the way there. In the first half of the year everything had gone according to plan. The only variation would be that instead of the usual two week pre-race taper in training, it would now be six weeks. The top priority was to make sure my foot healed properly, which meant no running at all. The second priority was to minimize fitness loss, so I started swimming everyday at this outdoor pool nearby. It was a great way to enjoy the crazy hot summer we had here in Portland. By swimming I was able to maintain a certain level of fitness, but more importantly it took my mind off the race. My foot healed quickly and I was able to start doing a few short runs. To minimize the impact on my heel I ran with trekking poles. European mountain runners often race with poles and it was fun to have something purposeful to do with my arms. Going into the race I really didn’t know what to expect. My foot felt fine, but it’d only been tested on a few short runs. Who knows how it would hold up over 62 miles of mountainous trail. Eliminating the need to compete was liberating and as a result I felt calm and relaxed. I looked at it as just a long day of moving slowly and deliberately through beautiful wilderness. 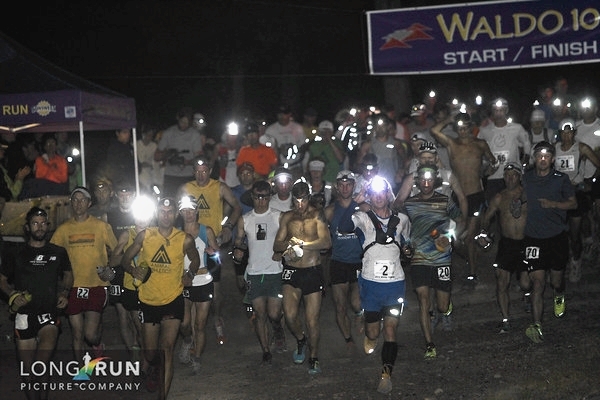 The Waldo 100k is now in its 14th year. The race starts and finishes at Willamette Pass Ski Resort and goes over three mountains (Fuji Mountain, The Twins and Maiden Peak). Much of the race is along the smooth single track of the Pacific Crest Trail and passes by numerous alpine lakes. 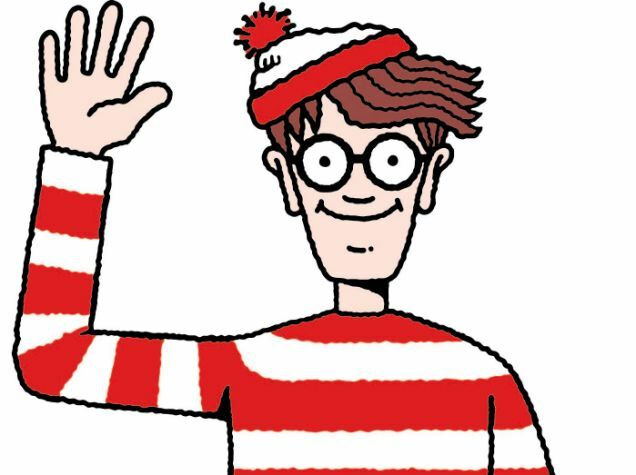 Each year the Wet Waldo award is given to the runner who takes a dip in the most lakes over the course of the day. The USFS permit allows only 135 runners and a lottery in March determines who gets in. The race starts in the dark at 5am and runners are given 16 hours to finish. There is also an early start option for those who may need an extra 2 hours to beat the 9pm cutoff. I ran a conservative race, power hiking the hills and running the flats and descents. I spent a lot of time at the aid stations, enjoying all the yummy high calorie fuel. The grilled cheeses, pierogies and popsicles were some of my favorites. There was plenty of time to meet and chat with other runners along the way. 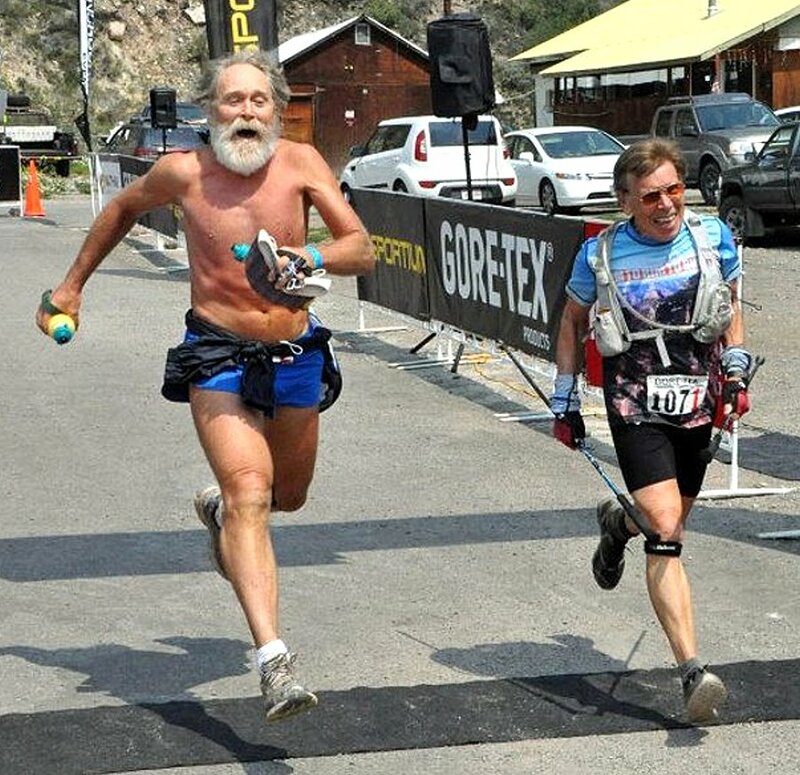 A personal highlight was getting to run with Gordy Ainsleigh. In 1974 Gordy cemented his status as an ultrarunning legend at the Tevis Cup, a hundred mile horse race through the Sierra Nevada mountains. 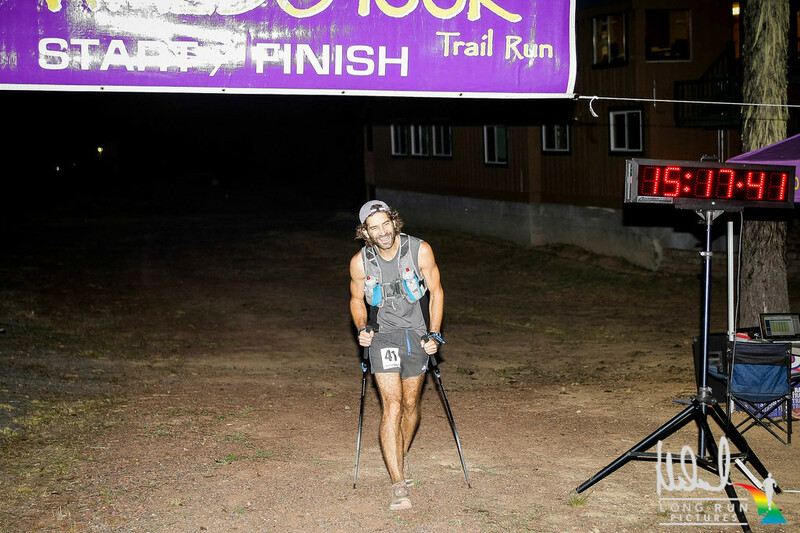 He completed the race on foot, without a horse, finishing in under 24 hours and thus “inventing” the 100 mile trail running race. Gordy is now 68 years old and runs with a twinkle in his eye like a jolly St. Nick. At Waldo, he took advantage of the early start and I caught up with him late in the race when he was struggling on the hills. However, he soon came rumbling back like a runaway train on the descents. We passed each other twice and then a few miles from the finish he caught me one last time. As he went by he said, “If you were a beautiful woman, I’d follow you till the ends of the earth, but you’re not, so I’ll leave you in the dust.” I hope to be half the runner he is at that age. Overall I was really pleased with how the race played out. I moved consistently all day long without hitting any real low points. It wasn’t an easy race, but it wasn’t as tough as I thought it would be either. It was also interesting to discover that despite having taken so much time off in the weeks leading up to the race, I was still able to finish (and with 42 minutes to spare!). I look forward to returning to Waldo again and next time with a full training cycle under my belt. Talk about a comeback!! Way to go and can’t wait to read next year’s race report when you tackle it in full beast mode!! Looks like you could have met your nemesis in Gordy – puttin’ all kinds of shame in the games of most old timers! Love the twist with the swimming – nice one!